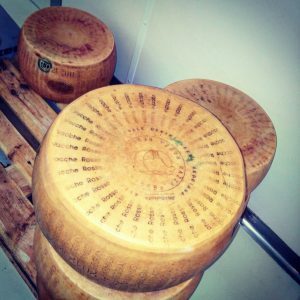 Parmigiano Reggiano cheese is made from the Reggiana breed of cows and it is tastier and more nutritious too. With various degrees of aging, the Red Cows Parmigiano Reggiano cheese is able to maintain excellent flavour characteristics, delighting the palate with its typical sweet and delicate flavour. The attention devoted to breeding Reggiana cows for the purposes of producing Parmigiano Reggiano cheese is an important element. It is essential to place a product on the market that has been produced with great attention to detail. 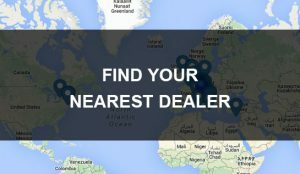 The requests from the market demonstrate a positive and growing trend, as evidenced by the statistics of production. The increase in packaging ‘is always weighed by the high standards to which we hold ourselves. Red Cows Parmigiano Reggiano has always been produced in the same manner and without shortcuts. As the saying goes: good things come in small quantities!” That is the mantra the Red Cow Consortium President repeats to journalists and visitors. 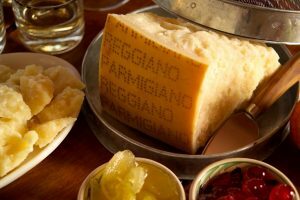 The Parmigiano Reggiano cheese has always conquered the markets and enjoys wide distribution and consumption worldwide. 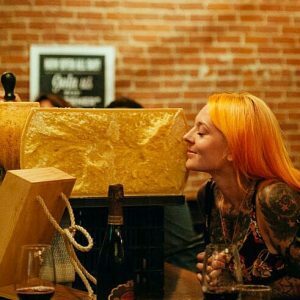 To understand just how popular it is, suffice it to say that the Parmigiano Reggiano cheese is the most imitated product in the world. 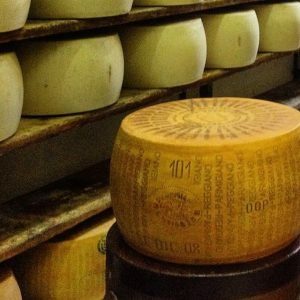 Last year, the increase in Parmigiano Reggiano cheese exports hit 7.2% for the wheels of cheese and the individual portions and by a whopping 14.7% for the grated version. 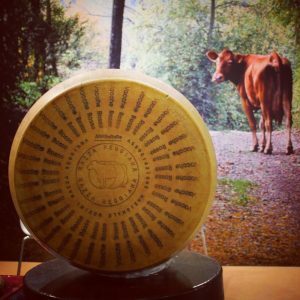 ‘The most significant development concerns the shift in the United States market, which has grown by more than 20% and where we continue to experience the stiffest competition by the presence of cheeses that imitate our own, exploiting the absence of legislation covering DOP products, which we believe is the centrepiece of the on-going TTIP negotiations between European and American authorities,” said Giuseppe Alai, President of the Consortium for the Protection of Parmigiano Reggiano, in a statement. On balance, the USA is the largest export market outside the European Union for Parmigiano Reggiano cheese consumption, although it is neck and neck with European countries such as France, the United Kingdom, Germany and Switzerland. These are leading countries that consume hard cheese, produced with raw milk that is partially skimmed, without the addition of additives or preservatives. In percentages, France is in first place with 19.4%, followed by the United Kingdom with 17% and Germany with 16.8%. The Red Cows Parmigiano Reggiano cheese arrives in the USA, Canada, Australia, Japan and, naturally, Europe, with a net rise in Italy, thanks to the constant work of the Consortium of Red Cows, which has led to a steady growth and the accession of new companies in the industry. These are all united in their desire to regain possession of the tradition based on the reintroduction of the native Reggiana bovine breed that otherwise risks disappearing. Even China is ready to open up to Parmigiano Reggiano cheese. Consumption of the delicious cheese is constantly growing in North America and also in the emerging markets, most notably in Russia alongside Asian and Middle Eastern markets. Parmigiano Reggiano boasts the title of ‘King’ of Italian products in the world, as stated in the ‘I Love Italian Food’ contest. The first records of the Parmigiano Reggiano cheese’s distribution hark back to the Middle Ages. The agricultural activity promoted by the Benedictine and Cistercian monks of Parma and Reggio Emilia led to the development of ‘granges’, which were farms that began the practice of breeding cows to engage in agricultural work, but especially in milk production. The monks were the first producers of Parmigiano Reggiano cheese, inspired by the desire to produce a cheese that had a substantial characteristic, a cheese that would be long-lasting. The distinctive feature is one of the reasons behind the success of Parmigiano Reggiano cheese around the world. It is the main product of Made in Italy. Parmigiano Reggiano’s diffusion throughout the world has contributed, at different times, trading companies similar to those in which the big ‘French cuisine’ was active, to celebrities and historical families. There are plenty of restaurateurs who include Parmigiano Reggiano cheese on their menu in their restaurants located all round the world. The Consortium for the Protection of Parmigiano Reggiano does more than just spread the word about the history and traditions of this most imitated product. It also ensures that its production maintains the determined standards and it harnesses its resources to increase the cheese’s diffusion and consumption around the world, ensuring first and foremost that foreign consumers are able to tell the difference and understand the uniqueness of the original product. Beyond this protection, the Consortium also added a layer of additional rigorous production controls that ensure that every wheel of cheese can be defined by its excellence within excellence. Unique in its taste and flavour, the Red Cows Parmigiano Reggiano is used to delight the palate and to give a touch of flavour to thousands of dishes.